Did you know that there is one thing that the PMBOK Guide, Fifth Edition does not cover… and it is extremely important for you… the PMP Aspirants. Why? Because there are over 10-15 questions on this topic… and if you do not prepare yourself in this area, you might fail the PMP Exam. So what is this “secret”? And why is it not covered in the PMBOK guide? Let’s first look at what is it.. The secret is the PMI’s Code of Ethics and Professional Conduct – meaning the “Social Responsibility of a Project Manager”. Where can I find the PMI’s Code of Ethics? You can find the code of ethics on the PMI website. Just click and download this PDF file. To whom does this Code of Ethics apply? 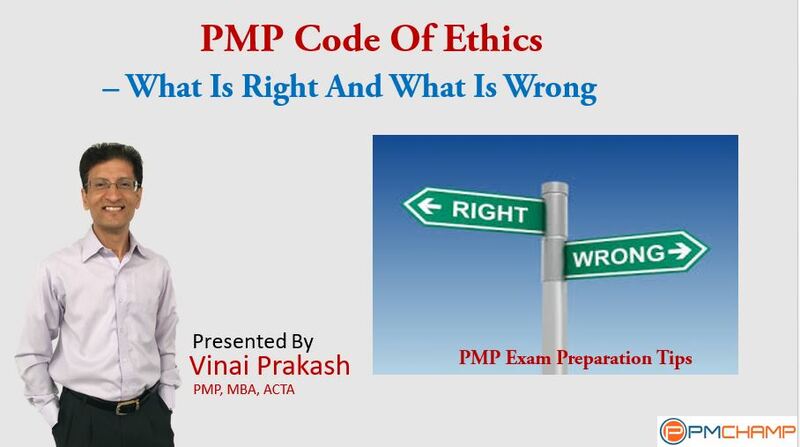 Do you think that if you are not a member of PMI, so you are NOT covered by the Code of Ethics? The PMI Code of Ethics applies equally to PMI members and PMI Non-members. All PMI members are covered. Secondly, all PMPs are covered too. So even if you did not take up the PMI membership while applying for the PMP Exam, you are not absolved of your duties. You are equally covered by the code. In fact, as soon as you begin the process of applying for a PMP certification exam, you are covered by the code. Also, if you serve PMI as a volunteer, you are again covered by the Project Management Institute’s Code of Ethics. What does this Code of Ethics advocate? Thousands of Project Management Practitioners from the global project management community were asked to identify the values that formed the basis of their decision making and guided their actions on a day-to-day basis. The values that the global project management community chose as most important were: responsibility, respect, fairness, and honesty. This Code of Ethics affirms these four values as its foundation. 1. We, as project managers, will take responsibility and ownership for all decisions we make, whether right or wrong. Also included are those decisions that we fail to make. 2. We, as project managers, make decisions and take actions based on the best interests of society, public safety, and the environment. So say NO to decisions that are only good for the company, but not good for the public, or the environment. 3. We accept only those project assignments that are consistent with our background, experience, skills, and qualifications. So if you do not have the skills, do not take on the project, and then jeopardize the outcome and career of others with you. The important thing is that only you are aware of the facts. But if they are wrong, you admit them in front of the key decision makers. You take responsibility and ownership. You are committed to doing what is right and honorable at all times. We inform ourselves and uphold the policies, rules, regulations and laws that govern our work, professional, and volunteer activities. We report unethical or illegal conduct to appropriate management and, if necessary, to those affected by the conduct.This is an important point from where a number of PMP Ethics questionscome from.Most questions would paint an emotional situation, where your close friend or colleague within your company is found to be doing something illegal in your company. Only you know about it, and reporting it would mean losing the trust or friendship of your friend and co-worker. We bring violations of this Code to the attention of the appropriate body for resolution. We only file ethics complaints when they are substantiated by facts. 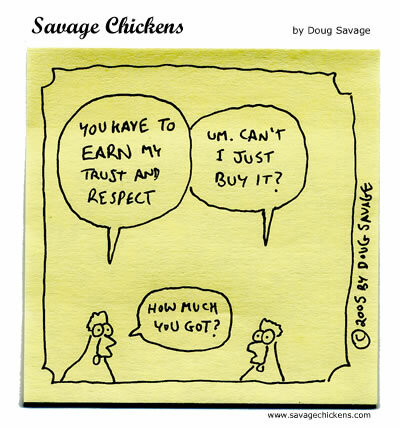 Next in the Code of Ethics comes Respect. PMI says that we are respectful to other parties, employees, co-workers, despite differences of any kind. We inform ourselves about the norms and customs of others and avoid engaging in behaviors they might consider disrespectful.So be mindful of people from other countries, beliefs, cultures or races. We listen to others’ points of view, seeking to understand them. Remember Steven Covey from “The Seven Habits of Highly Effective People”, and one of the key habits is “Seek First to Understand, Then to be Understood”. We approach directly those persons with whom we have a conflict or disagreement.Confrontation or Problem Solving is the best way to resolve an issue. This does not mean that you have to fight with someone.Just understand what the other party says, and put your points forth. Sometimes agreeing to disagree and moving forward is a better and faster way! We conduct ourselves in a professional manner, even when it is not reciprocated.This means that we act professionally, ethically, respectfully at all times and follow the appropriate protocol at all times. Be the Professional. Remember, you are aiming to be a Project Management Professional. Most PMP questions in this area of Respect actually come from “Negotiation” and rights related to “Intellectual Property” or Copyright. We negotiate in good faith.This means that there is No conflict of interest. If there is any, you declare it, and remove yourself from the negotiation or procurement process completely.Also, do not give any favors or extra treatment to any “preferred” vendors. Treat everyone equally, and whenever you release any information, you give it out evenly to all parties, and not do any favoritism. We do not exercise the power of our expertise or position to influence the decisions or actions of others in order to benefit personally at their expense. This means that you do not ask for any gifts, kickbacks, lunches, retreats or any personal favors from vendors, employees or others. We do not act in an abusive manner toward others. This means that you do not act as a dictator. Don’t abuse your powers, and don’t use it to put unnecessary pressure on people. We respect the property rights of others.This means that we do not take any copyright material without getting the proper approvals. We respect the intellectual property of others, and we do not use any pirated software or do any plagiarism.There are 2 other key aspects of the Code of Ethics – Fairness & Honesty, which I will cover in the next post. Let me know your comments and feedback on these. And practice well on these type of Ethics questions, and you can sail through the PMP exam easily. I have twice appeared for the PMP exam but could not get through. I feel I was more than 100% satisfied that the answers I gave are correct except for few may be 15 in numbers.I take internal exams regularly to understand all the processes and score over 80%in all knowledge areas.I wonder why is it so that when I appear for exam the results say below proficient.Could there be some problem with the institute where i appear for exam? Part of the problem may be your understanding of what the question is asking, or, the actual correct answer. By this I mean that in general, it is quite easy to get rid of at least two of the four answers. That leaves two answers that are both correct but there is always one that is the most correct. For example, and this was a practice question out of the Heads First PMP Exam Review book, GREAT book by the way. During a team meeting, Sue makes a remark about John and his lack of knowledge. Following the meeting, John comes to you and complains that Sue’s remark was racist and she was always putting him down. What do you do? The possible answers, and I’ll leave out the two obvious wrong ones which related to letting them work it out for themselves and you telling John to let it go that Sue didn’t mean anything by it, and go to the two possibles…either of which, or rather both of which, should be done but these were separate answers. The first answer slightly shortened: Take Sue aside and remind her that racist comments are not tolerated. The second answer, get training for John to help him come up to speed with the required information. So which is the best answer? The team leader would of course want to get training for someone who is lacking the knowledge but then again, according to the ethics and responsibilities, making racist commments is a huge “don’t do it” type action and needs to be addressed. The correct answer was to deal with the racist comment. Thanks for your comments and explanation of the example on Ethics. PMI likes to test people with multiple correct answers, to see if they understand the correct order or priority to be given to different solutions. Are you still preparing for the exam, or have you passed the exam already? Is it already available – Fairness & Honesty? If yes, where can I access it. Thanks! The article is very good and understandable. Thanks! I would love to see the information on Fairness and Honestly. Where can I find it?